PRISTINA/BELGRADE – Recent days have seen another exchange of opinion between President and Prime Minister of Kosovo, as well as President of Serbia, on the ongoing issues of tariffs and border correction. The former topic was once again brought to focus by President Thaçi, who wrote on his Facebook account on Saturday that the Government should listen to the advice of US State Department, which urged it to revoke 100% tariffs on goods from Serbia and BiH several days ago. “The US Government is concerned over current developments and some of actions taken by state institutions. This is a very unfortunate situation. Therefore, now is the moment to respect advice of our American friends, aimed at strengthening of the state of Kosovo and pacification of the region,” Thaçi wrote, Gazeta Express reported. He added that the friendship between Kosovo and US is eternal, but that the support of the latter is not unconditional, which was also emphasised by the State Department. “Personal decisions of any of the state leaders should not harm interests of our state and strategic relations of the U.S. with Kosovo. 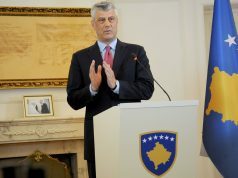 Populist actions should not undermine the vision and strategic decisions of Kosovo”, stressed Thaçi. A day later, President of Kosovo also reflected on his and President Vučić’s joint proposal to change the borders between Kosovo and Serbia, the details of which have never been made public. “This agreement would bring greater stability and peace to the region. It would enable Kosovo to access NATO and EU”, stated Thaçi while visiting Vienna. According to him, the chances for reaching the agreement have never been better, since now both the US and the EU are in support of it, Tanjug reported. 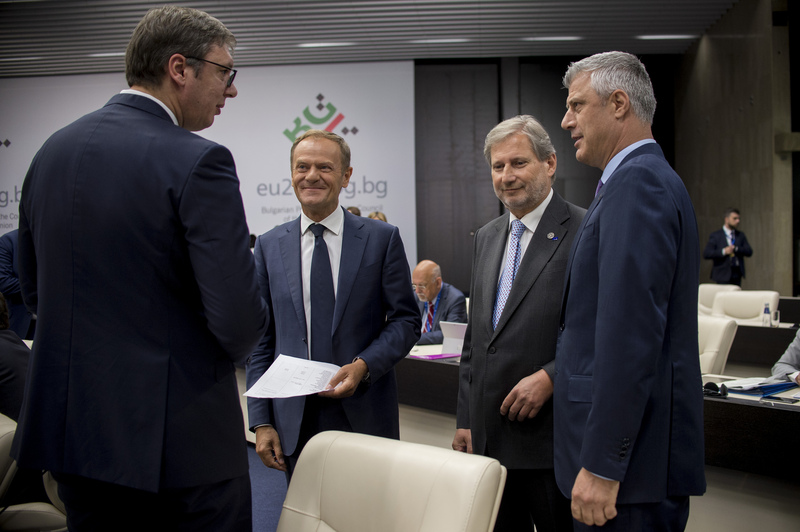 He underlined that the agreement would be comprehensive, tackling the issues such as Serbian cultural heritage in Kosovo, as well as that both Serbia and Kosovo would remain multi-ethnic states. 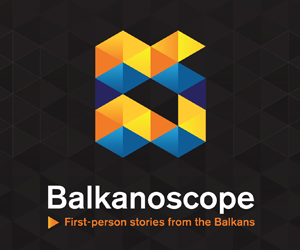 Both Prime Minister Haradinaj and President Vučić, however, expressed a lack of enthusiasm. While attending the 13-year commemoration of Kosovo’s first President Ibrahim Rugova, Haradinaj refused to comment on whether the tariffs will be revoked, saying only that “the snow is bound to melt one day”. According to KoSSev, Haradinaj and Speaker of Parliament Kadri Veseli are to meet with US Ambassador to Kosovo Philip Kosnett on Tuesday. They are expected to discuss the issue of tariffs. On the other hand, President Vučić is unwilling to discuss border change before the issue of tariffs is resolved. 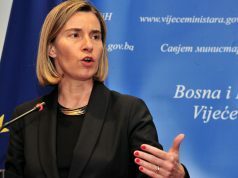 “What is happening at the territory controled by Pristina is not happening anywhere else in the world. I am afraid that sends a much less optimistic picture than what Albanian leaders are talking about”, he stated for Serbia’s public broadcaster. Vučić added that he is ready for hard decisions, but that they must come as a result of a compromise and should also be hard for Pristina, not only for Belgrade.